Our three bedroom cottages offer deluxe lakeside living with all of the adventure Lake of the Woods has to offer right on your doorstep. 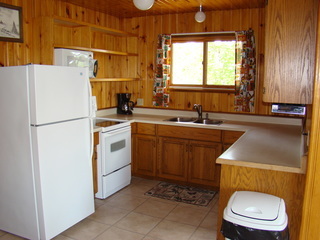 The kitchen has everything you need for easy home-style cooking, or step out on to the sundeck and enjoy dinner prepared on the gas barbecue and served at the picnic table. Air conditioning, wireless Internet, 40 inch flastscreen satellite television and a cozy fireplace make your spacious living room the perfect place to relax in the evening. Towels (changed daily), and linens and blankets are supplied, as well as each of the bedrooms have separate thermostats for individual heat control. Two bathrooms with showers and shower tub mean shorter morning waits for a nice hot shower. At the end of the day, one of the bedrooms offers a new queen size pillow top bed, while the other two bedrooms each offer a pair of new twin beds (which one set can be converted to a King size upon request). 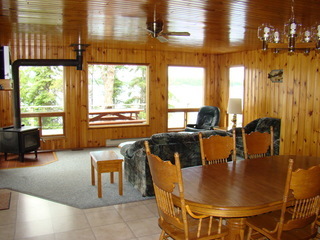 You'll enjoy all the comfort and conveniences of home, while you experience a spectacular wilderness vacation! 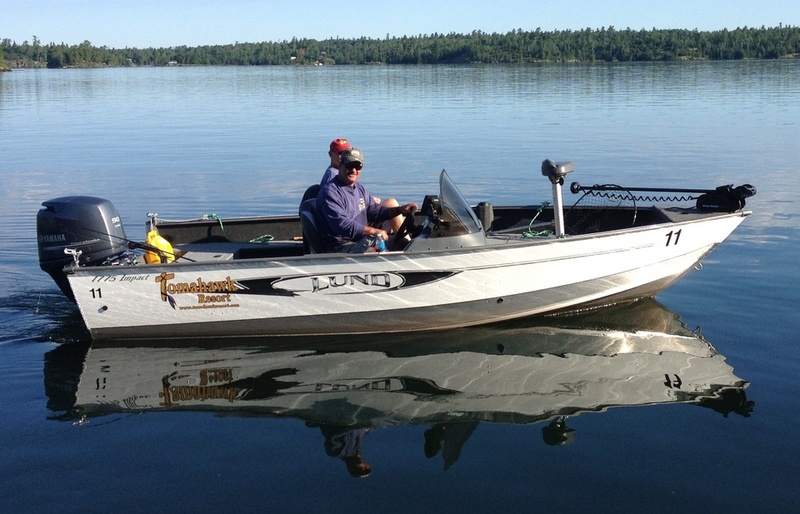 Cottage accommodation for seven nights, new 17 foot, 18 foot, 19 foot Lund boat or 23 foot pontoon boat and Yamaha motor as indicated below, all fuel, bait, and lakecharts - all Lund boats fully equipped with deluxe comfortable pedestal seats, Garmin or Lowrance Hook-7 fish finders with GPS, lifevests, landing nets, live wells, and new Yamaha four-stroke Motors. Prices in US funds. 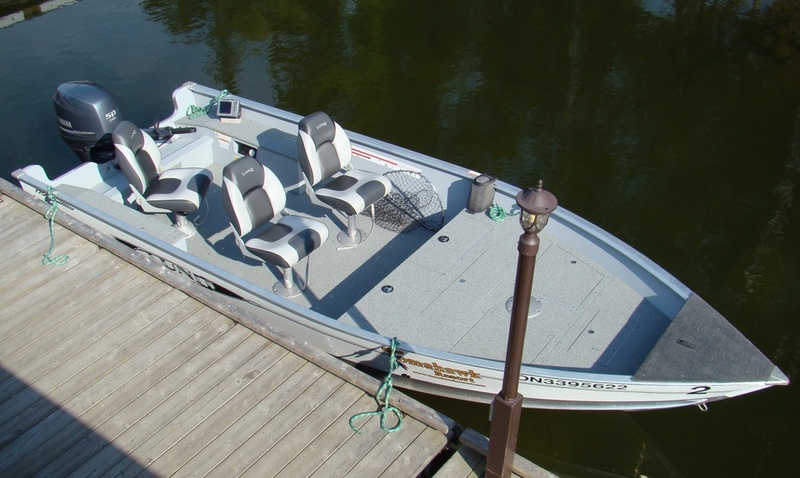 Fishing licences and sales tax additional. 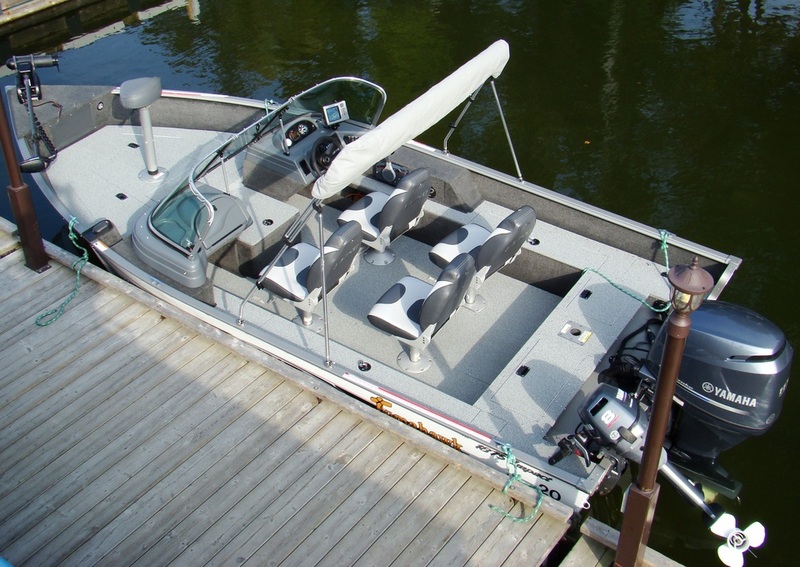 Rental Boats 17' & 50 h.p. per Person 18' & 115 h.p. For a description of the 17' & 50 h.p. 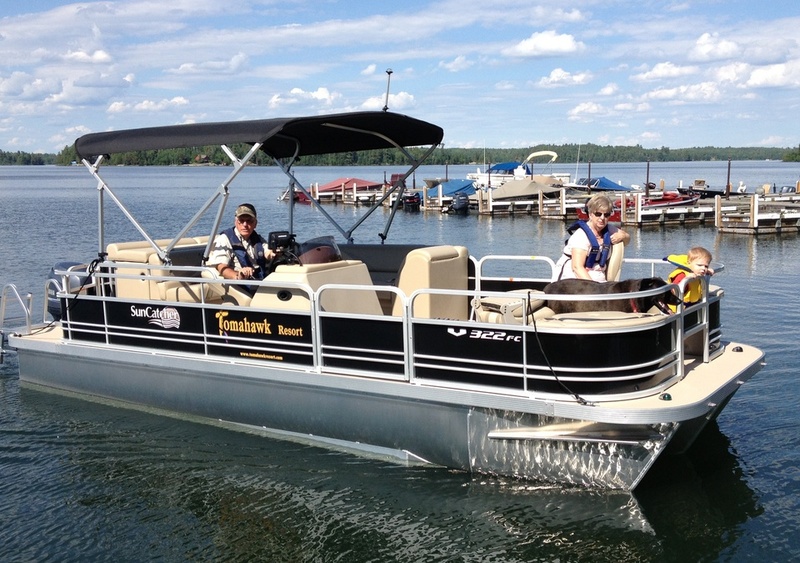 , 18' & 115 h.p., 19' & 115 h.p., or 23' Pontoon & 115 h.p. 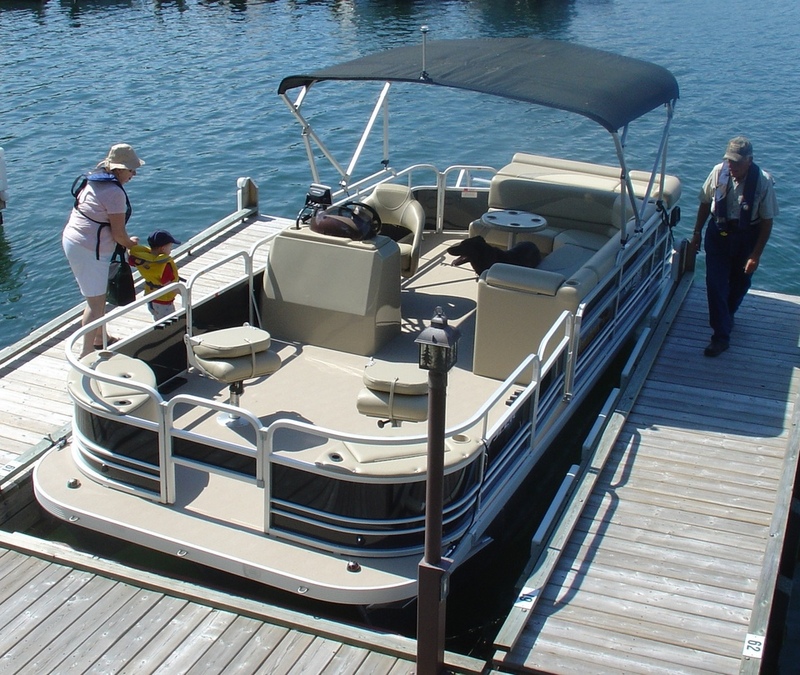 boats and motors, please see Marina Services section for more details. Cottage accommodation for seven nights with docking slip for one personal (non-rental) boat included. Prices in US funds. Sales tax additional. Pets are welcomed - $125.00 per pet per week. Children, ages 10 and under - FREE (when the minimum paying persons requirement of 4 is attained). 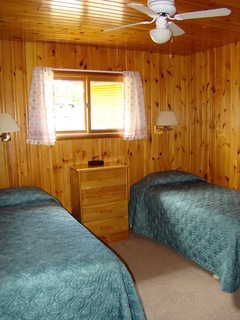 Deposits - To confirm reservations for our deluxe three bedroom cottages a deposit of $700.00 is required. There are openings for the 2019 summer season! Give us a call at 1-800-465-1091 to reserve your relaxing getaway!